Thunder Day – Ready to Roar! Following winter maintenance and successful pre-season engine tests, our live aircraft are set to bring the new season roaring to life on Sunday 3rd April for the first of the new season’s “Thunder Days”! The WWII Douglas C-47 Dakota made a smooth start up in February, following the successful replacement of two cylinders, pistons, heads and valves on the troublesome starboard engine, along with the resetting of all the valve clearances and timings of both the Pratt & Whitney engines. The aircraft also performed well in the well-subscribed Nightshoot photographic event on Friday 18th March, so all is looking good. Like the post war De Havilland Devon twin-prop, both these aircraft start amidst a belch of smoke, and sometimes a flame or two, making a great spectacle for visitors to enjoy at close, but safe, distance, under the watchful eye of the Museums volunteer Fire Team. This highly trained group will also be providing the early birds with some fire team activities, give kids (of all ages!) the chance to have a go knocking down some bollards with a jet of water. Later, they will be performing a very realistic rescue scenario, to hone their Civil Aviation Authority accredited skills, which should be exciting to watch! The evocative WWI bi-plane fighters, in the form of the Royal aircraft Factory SE5a and the diminutive Eastchurch PV8 Kitten, designed as a ‘Zeppelin killer’, will be started up both late morning and during the afternoon, complementing the newly opened ‘Gas Bags to Super Zeppelins’ exhibition. Another fascinating display for visitors to enjoy. The real thunder will be provided by the mighty jets of the Nimrod MR2 XV250, with its four Rolls Royce Spey engines, and the ever popular and impressive Handley Page Victor XL231, which will make the ground shake as the four Rolls Royce Conway’s power up. The heady smell of aviation fuel will fill the air after these aircraft have done their stuff! A true treat for all the senses at this popular event! Admission: £12 Adult; £10 Concession (Seniors, Students, Serving Forces Personnel); £5 Child (5-15) and £30 Family (2A + 3 CH.). A brand new exhibition dedicated to a civil aviation giant is now on display at the Royal Air Force Museum Cosford. The exhibition entitled ‘Sir Alan Cobham’s Flying Circus: A life of a Pioneering Aviator’ focuses on one of Britain’s forgotten heroes, Sir Alan Cobham, a true aviation pioneer, both in the air and on the ground. The display was officially opened by Lady Cobham on Wednesday 23 March during a private event and will run until 30 April 2017. Cobham was a long distance aviator and an aeronautical innovator who became famous for his exploits in the interwar years. This exhibition showcases his diverse flying career and the contributions he made to the world of aviation, most notably the ‘Air to Air’ refuelling technique, still used by air forces across the globe today. He inspired countless members of the public to have successful flying careers, including Shropshire born Spitfire ace Eric Stanley Lock. Cobham learned to fly during the First World War and later went on to set many long distance aviation records. He became the first person to fly from London to Cape Town and back in 1926 for which he received the Air Force Cross. 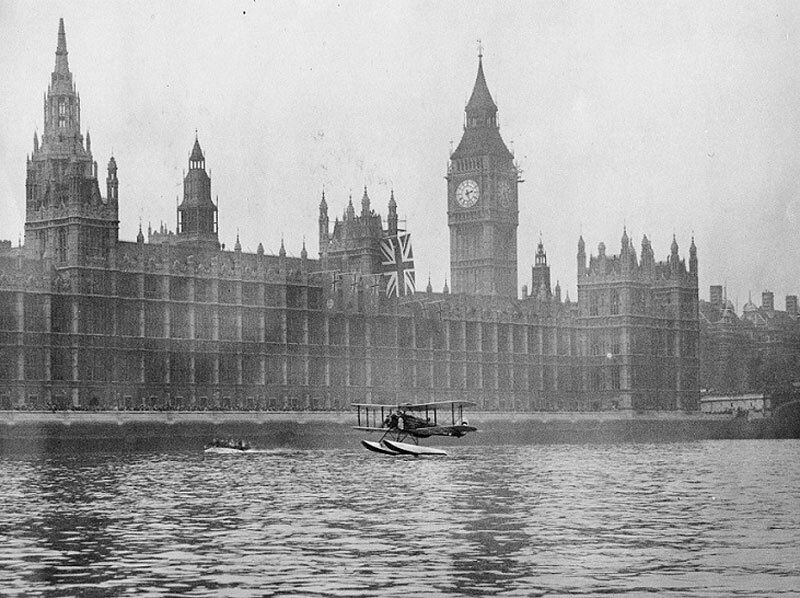 In the same year at the age of 32, Cobham was knighted by King George V after the successful completion of his Australia flight, where he famously landed his seaplane on the River Thames outside the Houses of Parliament. He won many notable aviation trophies including the King’s Cup air race in 1924 and the Britannia Trophy in 1923, 1925 and 1926. All three Britannia plaques are on display as part of the exhibition, along with a medal case which includes Cobham’s Knight Commander of the British Empire badge and star. Cobham was one of the biggest celebrities of his day and was well-known for his series of flying tours of the United Kingdom, Ireland and South Africa, which became affectionately known as ‘Sir Alan Cobham’s Flying Circus’. These tours promoted aviation to the public and were a source of inspiration for countless pilots in the Second World War. Tours of the UK during the 1930s included several shows in the Midlands; Castle Bromwich Aerodrome in Birmingham, Harlescott Flying Ground in Shrewsbury, Stafford Common in Stafford and Kitchen Lane in Wednesfield, Wolverhampton were just some of the many locations to host the show. Brave, visionary and innovative, Cobham was a record setter who inspired a generation. One such pilot who had his first flight with Sir Alan Cobham’s Flying Circus, was Spitfire fighter ace Flight Lieutenant Eric Stanley Lock who was born in Bayston Hill near Shrewsbury, Shropshire. He was credited with 26 confirmed victories and received the Distinguished Service Order for ‘his magnificent fighting spirit and personal example which have been in the highest traditions of the service’. In the years that followed his circus success, Cobham went on to pioneer the aeronautical technique of air-to-air refuelling with his company Flight Refuelling Limited. So advanced was the technology he developed, his ‘probe and drogue’ technique is still used today in its fifth generation. His legacy to aviation lives on through his aerospace company which still continues to pioneer aeronautical technologies. For further information please visit the Museum website www.rafmuseum.org/cosford or call 01902 376200. The Museum is open daily from 10am and entry is FREE of charge. Organisers of the RAF Cosford Air Show today announced a number of exciting additions to the flying displays planned for Sunday 19th June. 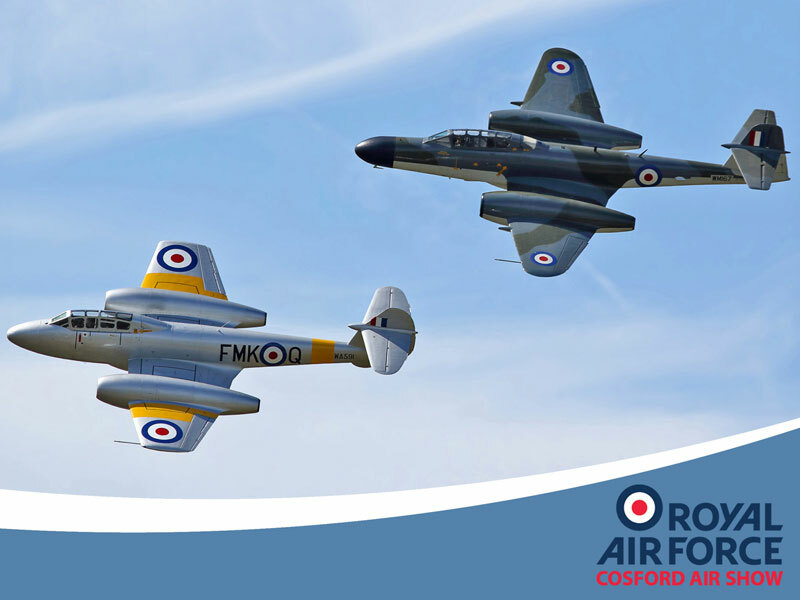 The air show will give visitors a rare chance to see two Gloster Meteor aircraft – the first British operational jet fighter – flying together in a formation display. The GlosterMeteors are appearing at the show as part of the show’s main theme celebrating Speed and the evolution of the Jet Engine which marks the 75th anniversary of theGloster E.28/39’s first flight; Britain’s first jet engined aircraft. 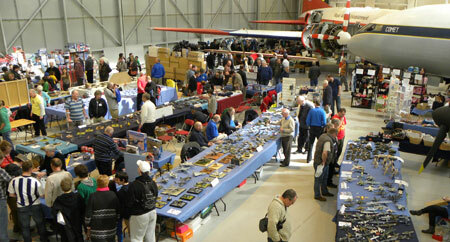 A unique hangar display will showcase a number of Jet Engines along with the RAF Museum’s Bristol 188 which will be on external static display. Other additions to the show including the appearance of the Army Air Corps Historic Flight with their Sioux & Scout helicopters flying together, two Nanchang CJ-6 training aircraft which will also perform a pairs display and a Westland Wasp helicopter which will be on static display in the Vintage Village. On 16 April 2016, acclaimed author Tom Palmer will be reading from and talking about his new book – the first in a new series; WINGS – next to the Sopwith Camel at the RAF Museum London in a series of short events at 1pm, 2pm and 4pm. The Wings series is centered around four children at a football summer camp, who find themselves propelled back in time. If they can learn how to fly the great RAF planes – the Sopwith Camel, Spitfire and Typhoon, history will lead them on a flightpath back to the present. The books were inspired by Tom and his daughter making an Airfix kit of a Lancaster Bomber two summers ago. Each book also comes with a simple model plane you can make yourself! On March 15th, we are delighted to announce that Dr. Fiona Spiers, Head of the Heritage Lottery Fund, Yorkshire and the Humber will open the new “Gas Bags to Super Zeppelins” exhibition at the Yorkshire Air Museum. The opening will take place at 13:00pm and media are invited to attend. 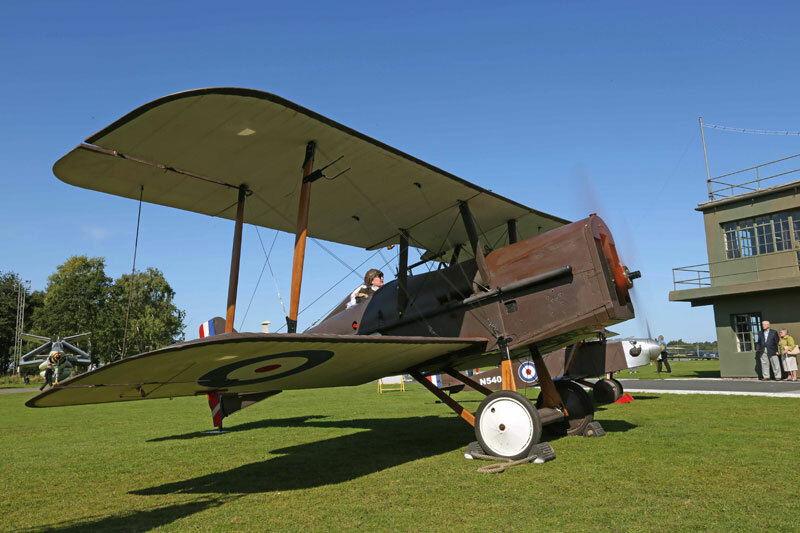 The Museum’s Eastchurch Kitten WWI bi-plane, designed as a ‘Zeppelin killer’, will be fired up to enhance the ceremony, along with the SE5a WWI fighter. The Yorkshire Air Museum received £10 000 from the Heritage Lottery Fund (HLF) through its First World War: then and now programme, in support of a new exhibition which focuses on the development of the first airships and particularly their use during the First World War. The exhibition tracks the development of lighter-than-air aviation from the balloons of the Montgolfier Brothers of 1783, to the super-sized airships of the late 1930’s. During the First World War, Schütte-Lanz and Zeppelin airships (taking the name from Count (Graf) Ferdinand von Zeppelin, the pioneer of German airships), were used to bomb the civilian population of Britain from the air for the first time in history, bringing terror from the sky. It shows the shock effects of this new type of warfare had on the people at that time. It also traces the post-war development of “Super Zeppelins” and their British equivalents, which were the largest of them all, culminating with the tragic and horrifying disasters as a result of the use of highly flammable hydrogen gas. Through diary entries, audio recordings, video footage, photographs and original artefacts, “Gas Bags to Super Zeppelins” relates the memories and heritage of the people who lived through the First World War. Commenting on the award, Museum Director Ian Reed said: “We are thrilled to have received the support of the Heritage Lottery Fund. The airship raids, which started, following the outbreak of war, in 1914 over Belgium and France, had the biggest impact on society than at any time before or since. British families had not experienced invasion for almost 1000 years. On 19 January 1915, the German Zeppelins delivered the first air attacks on Britain of the First World War. Without warning, British people were suddenly on the Front Line and defenceless. Thanks to National Lottery players, we have been able to bring to life existing records of people’s memories and experiences to tell the story of the ‘Wonder Ship’ of the First World War and also brought previously untold stories relevant to the Yorkshire Region. Our exhibition ‘Gas Bags to Super Zeppelins’ explores the social impact of the threat, the attacks and their repercussions as well as the desperate race to find a technological solution to defend our homes from aerial attack during the First World War. More than 20 members of the Junior Ranks based at RAF stations across the UK and Cyprus have been told they are to receive scholarships to learn to fly and achieve solo standard in a light aircraft. They were among a record 367 applicants who applied to the RAF Junior Rank Pilot Scholarship Scheme (JRPSS) 2016. The scheme was first launched last year as a joint venture by the RAF Flying Clubs’ Association and the RAF Charitable Trust (RAFCT). It proved so popular that an initial grant of £20,000 to fund eight scholarships was doubled by RAFCT Trustees to enable more Servicemen and women based at RAF stations across the UK and Cyprus to benefit. This year, 24 scholarships were on offer thanks to an increased grant of £60,000 from the Trust. RAFCT Chairman Air Marshal Sir Kevin Leeson said Trustees have been overwhelmed by the popularity of the scheme.He said: “Clearly the word is out there among the Junior Ranks who recognise the many benefits, both personally and professionally, that learning to fly can bring. We’re making a difference to the lives of serving personnel in the UK and abroad by funding a wide variety of projects and are particularly keen to support initiatives that promote airmindedness. 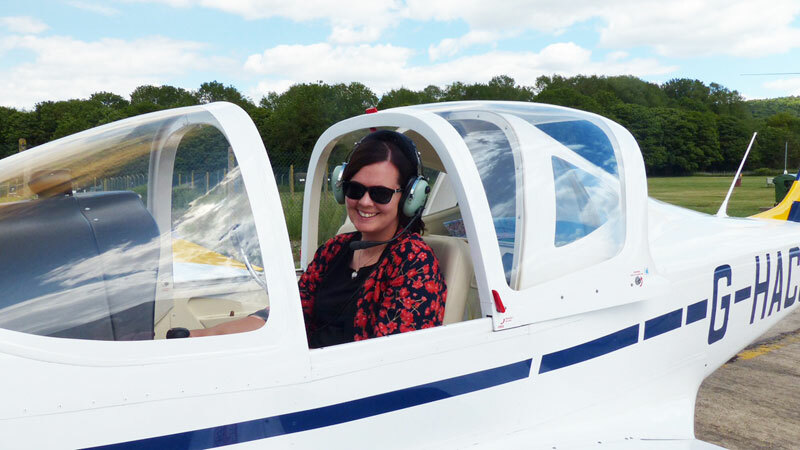 Corporal Amy Foster, from RAF Brize Norton, who was awarded a scholarship in 2015, said learning to fly under the scheme was an experience that would stay with her forever. The successful applicants are: Cpl Anthony James Barnes, RAF Cosford; SAC Scott Brown, RAF Marham; SAC Liam James Conway, RAF Lossiemouth; SAC Grant Cowe, RAF Lossiemouth; Cpl Graham Dacres, RAF Coningsby; SAC Kieran Ashley Dinsdale, RAF Waddington; LAC Ryan William Durnall, RAF Coningsby; SAC Neil Dennis Foard, RAF Odiham; SAC Aaron AmerjeetGarcha, RAF Akrotiri; Cpl Sarah Halsey, DMRC Headley Court; SAC Michael Harrison, RAF Coningsby; SAC Jack Oliver Stratford Holmes, RAF Marham; SAC Elliott Hunt, RAF Waddington; SAC Shaun Kenrick Jamieson, RAF Wittering; SAC Charlotte Louise Lord, RAF Brize Norton; SAC Joshua Brandon Enzo Lyons, RAF Scampton; SAC Samuel Thomas Mear, RAF Benson; SAC Steven Nicholas Moseley, RAF Akrotiri; SAC Ben Richard Perfect, RAF Waddington; SAC David Charles Rainbird, RAF Brize Norton; SAC Thomas David Shepherd, RAF Lossiemouth; AC Andrew Shane Teece-Lockley, RAF Cosford; SAC Joshua Wardman, RAF Lossiemouth; Cpl Charlotte-Marie Williams, JHC HQ, Andover. On Saturday 19 March the Royal Air Force Museum, in partnership with Techmaids are holding an event in honour and celebration of women in science and engineering. The Month of March marks International Women’s Day and Women’s history Month. We will be hosting various women who work in science and engineering who will be giving pop up lectures beneath our Bristol Beaufighter. Maggie took up her current post as Chief Executive Officer of the Royal Air Force Museum in January 2015. Maggie has 25 years’ experience in the sector and is passionate about the difference that museums and culture can make to people’s lives. Before joining the Royal Air Force Museum, Maggie worked in Luton for 12 years, for six as director of museums and latterly as the Chief Executive of Luton Culture, the charity that comprises the arts, libraries, community centres and museums in the town. Her previous roles were in Stevenage and at the Royal Armouries. Maggie led the consultation, fundraising and development of the HLF-funded Stockwood Discovery Centre in Luton that opened in 2008 and welcomes over 200,000 visitors a year. She was also responsible for securing the medieval Wenlok Jug for the UK after it was export stopped in 2006. Maggie is also the Vice President of the Museums Association, Board Member of the Heritage Lottery Fund East of England Committee and the co-Chair of the Women Leaders in Museums Network. Maggie is married with two boys and is a keen cyclist and reader. I have lived and travelled the world, learned different languages and worked on ground-breaking projects. In parallel I work for and with communities to develop individuals, communities and communication, both in formal and informal roles. Opportunities exist every day for new and exciting challenges. In addition to technology, I’m also very involved in working to equal access for all (regardless of backgrounds, with or without disabilities) to our exciting STEAM (STEM including Arts and creativity) world and futures. I’m a published writer, work in a range of networks and am also very part time artist. From my original degree in Electrical Engineering, through software, hardware, manufacturing, test and business development, today I work in creative thinking in tech, arts and social worlds. Problem solving, (technical, business, or other), I help develop strategies, understand risk, project, organisation and personal development. I take part in various community/ arts development and individual projects. Linsey Birkett is a Technical Engineer in the Power Division at Interserve Industrial Services. She fell into the Power Industry by accident 8 years ago and has thrived in the electrical arena, studying part time for an ONC and then a HNC in Electrical Engineering the latter of which she graduated from in June 2015 with a Distinction. Her day to day role is to provide support to the Extra High Voltage Underground team in the form of cable system design including cable calculations, cable pulling tensions and outage planning. In addition, she is heavily involved in the tendering, development and planning of projects anywhere from £5k to £25m for a wide range of Clients. Noor Ul-Ain, was born in a small village in Pakistan and moved to the UK when she was 11. Noor grew up in Swansea, studying at Dylan Community School. Her first introduction to engineering was a Saturday taster course in Electronics and Mechanic in year 9. Noor then did her BEng and MEng at the University of Reading. Growing in a conservative family, she really enjoyed the freedom in University. It provided her with a great platform to further pursue her interest in Engineering. During her degree, she undertook a 6 month placement with EnSilica, an Engineering consultancy firm in Wokingham. Noor absolutely loved her time there, returning after graduation. Ensilica is an SME, which has provided great opportunities for Noor. Working in smaller teams ensures that she is handed greater responsibilities than you what you would expect in a graduate position. The range of work projects are also highly varied, making her job very interesting. Noor has learnt to create PCB designs to do place and route. Also applying the same theory on a chip level. She have learnt a variety of skills schematic drawing, PBC layout, timing simulations, FPGA programing and numerous learning programming languages. Claire Curtis-Thomas graduated in Mechanical Engineering from University College, Cardiff, and went on to obtain an MBA at Aston University. She also has an honorary PhD in Technology. Her industry experience was gained with Shell UK. This was followed with roles at Birmingham City Council, initially as Head of Corporate Affairs and later as Chief Executive of Birmingham City Council Laboratories. Claire then returned to university life as Dean of the Engineering and Business Department of the University of Wales, Newport, before moving into politics when she was elected MP for Crosby. During her time in parliament, Claire championed a number of issues on behalf of the construction industry and sat on three select committees: Trade & Industry, Home Affairs and Science & Technology. She also chaired All-Party Parliamentary Committees on Construction and Utility related subjects and founded the Construction & Development Partnership, a charity dedicated to bringing schools and education to the children of Sierra Leone. Claire left politics in 2010 and before joining the BBA in 2013, she was Chief Executive of the Institution of Gas Engineers and Managers (IGEM), a Chartered Institution providing services, training, and standards to the gas industry. Francesca Perona is a London-based interdisciplinary designer, FabLab London associate, Ravensbourne Sessional Lecturer and STEM educator. Trained and experienced as textile designer, she graduated with a MA in Computational Arts at Goldsmiths Department of Computing in 2012 and with a Fabacademy diploma at FabLab Barcelona/MIT in 2015. Francesca’s practice sits at the intersection of experimental materials and digital technologies. She has run a number of workshops and courses on interactive technologies in local schools, community centres and Universities in the UK and abroad. Having worked on research projects for companies such as Unilever and Philips, she has also won digital arts residencies and presented her work at institutions such as the V&A, Abertay University and UCA Canterbury. After working for many years in corporate IT, based on the challenges faced during her professional career Rahmat decided to set up TechMaids to enable young people especially women into STEM careers and non traditional professions. Rahmat has trained a significant number of women in Grahame Park. She continues to trailblaze by promoting gender diversity and awareness of digital skills to improve personal and economic wellbeing. Rahmat is a STEM finalist, ambassador and role model. She is on a mission to inspire social change and empower the next generation for a digital economy. Female Engineer and Founder & CEO of StraDia Coaching, an international company helping High Powered Women to start and grow profitable businesses or successful careers in the corporate arena doing what they are passionate about. Her true passion is to empower women to raise their Profile in male dominated arenas, develop unique personal brand to stand out, market their expertise, monetize their knowledge, leverage their time, add new revenue streams, not settle for less than they are worth! 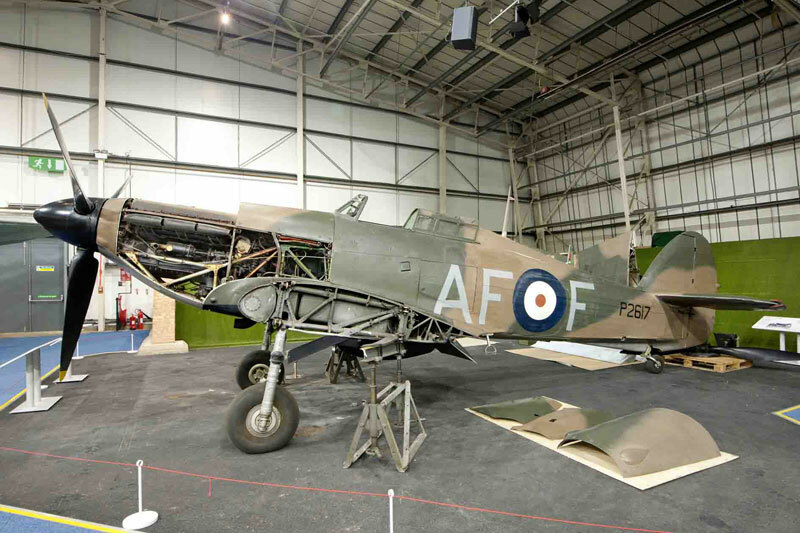 The RAF Museum is offering enthusiasts and visitors a rare chance to get ‘under the skin’ of some of their iconic Battle of Britain aircraft. The Museum is conducting an ‘open’ condition survey of its aircraft as part of its on-going plans to commemorate and celebrate the RAF’s Centenary in 2018. The first of these surveys is now underway in the Battle of Britain Hall at its London site and will last until November. During this time visitors will be able to see under the skin of some of the aircraft as panels are removed and parts are dismantled for a closer inspection. For the first time ever, the Museum is enabling visitors to see the ‘nuts and bolts’ under the panels as qualified technicians asses each aircraft and is also encouraging public photography and filming of the process. If you would like to learn more about the Museum’s plans for the RAF Centenary in 2018 please sign up to our RAF Centenary Programme e-Newsletter. To do this, just go to the bottom of any page on our main website www.rafmuseum.org, and click on the e-Newsletter link. The aviation feeds on Twitter have been buzzing since thursday when Andrew Haines published a statement on the CAA website (and quoted in the Times) taking a stab at the aviation industry and air show community as being in opposition to new safety practices.In support of BADA’s address to Mr Haines to retract his statement, it should be pointed out that no pilot or organiser that Airscene has spoken to has voiced any opposition at all over the changes now put in place. Not one single person wants to see a repeat of the Shoreham crash, not the organiers, not the pilots and certainly not the watching public. Mr Haines comments seem to be about preservation and politics more than anything else. 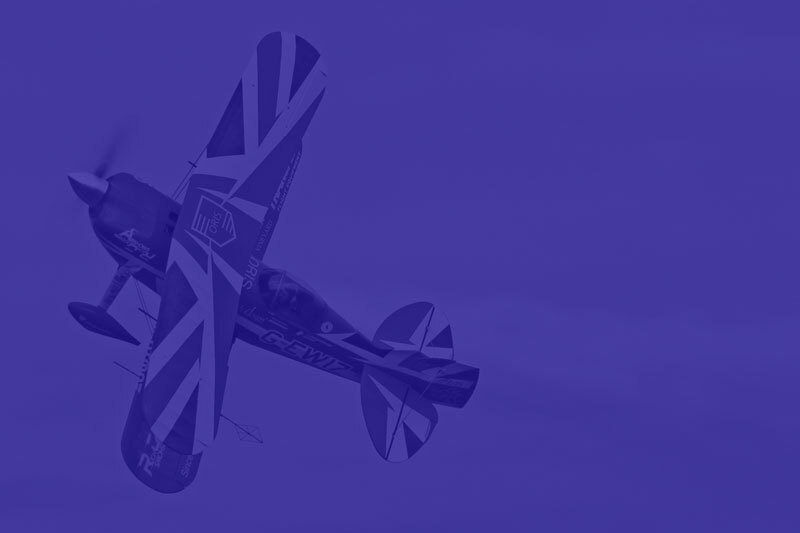 There hasn’t been a single fatality at a British Airshow for 63 years – a fact that I am sure gave Mr Haines comfort when making his decision’s to downsize the CAA and offer out the reponsibility of Airshow Management to BADA. That’s a pretty good safety record – in fact more people have died on their journey to those airshows in all those 63 years, than as a result of an aeroplane crashing – and then Shoreham happens…. Shoreham happens and the organisation under Mr Haines suddenly have a job to do again. Mr Haines now has to earn his £250k per year salary, be seen to be making effective decisions and all in the very public spotlight. So Mr Haines attacks the air show community, perhaps because he feels it is something he must do to defend his own position, a position of exorbitant increases in CAA fees, and his own departments failure to deliver full details of the regulatory changes in a timely manner. Another possibility is that Mr Haines failed to deliver on the targets set by the Secretary of State to return profits of 6% per annum before tax. Last years Annual Return shows only 3.1%, with a reduced target for 15/16 of 3.5% (agreed by the Secretary of State). “When the day is filled with billion-pound investments, toppling tour companies and strident debates with airlines and civil servants, it seemsperverse that the CAA must concern itself with penny-ante puddle-jumpers with no revenue sources that must, by any measure, cause more grief to the Authority than we are worth. Are we not an irrelevance and a distraction? We fly in the air, but so do pigeons. Is the regulation of GA not disproportionateto its ability to fund CAA regulation? This kinda makes his declaration that “Safety must be the Priority” questionable – your priorities are pretty clear Mr Haines!. Airshows are being cancelled BECAUSE THE FEES ARE TOO HIGH – industry will suffer, charities will suffer, tourism will suffer, the public will suffer. The increase in fee’s should be reconsidered, an apology from Mr Haines should be considered, and perhaps he should go back to playing with his train set.